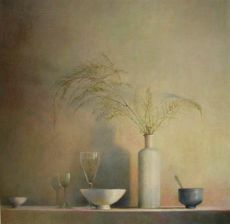 Anneke Elhorst was born in 1950, and is known as a painter of still lifes. She was educated at the Ruudt Wackers Academy in Amsterdam. 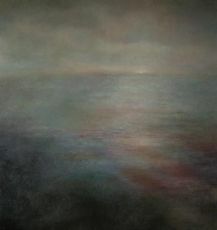 Her work has been exhibited at various Dutch galleries since 2001, and it is present in many private and company collections. Anneke gets her inspiration from reality and its everyday objects. 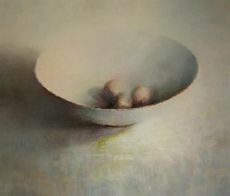 Her compositions are balanced and often incorporate a surprising... Read moreAnneke Elhorst was born in 1950, and is known as a painter of still lifes. She was educated at the Ruudt Wackers Academy in Amsterdam. 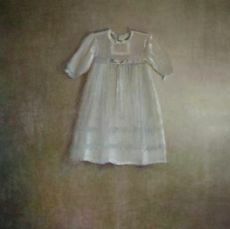 Her work has been exhibited at various Dutch galleries since 2001, and it is present in many private and company collections. Anneke gets her inspiration from reality and its everyday objects. Her compositions are balanced and often incorporate a surprising element, such as use of perspective in an untraditional way. Other unexpected elements are her enlargements of objects. At first glance her depictions seem detailed and very realistic, although she uses coarse brush strokes. 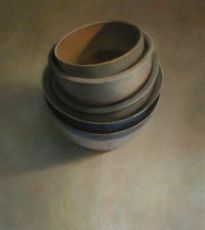 Elhorst is most famous for her still life depictions, but recent years have challenged her to try landscape depictions as well. 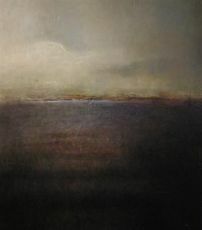 However, the creative process of painting itself is what's most important to Elhorst herself, no matter the subject.